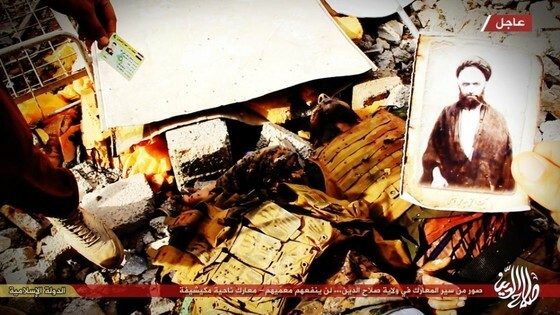 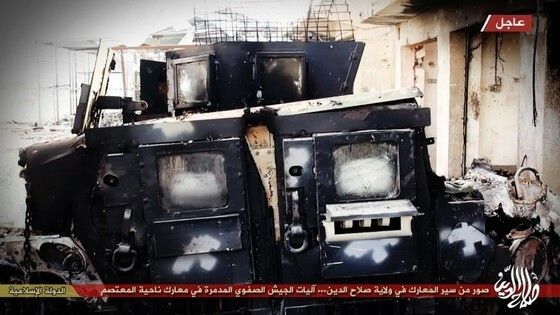 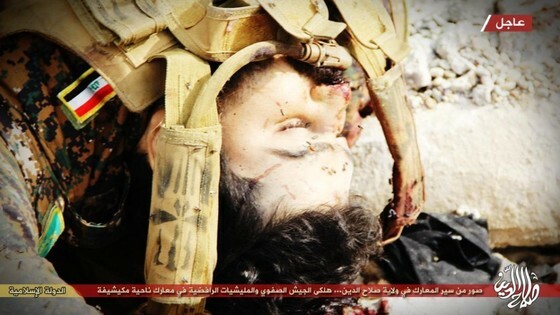 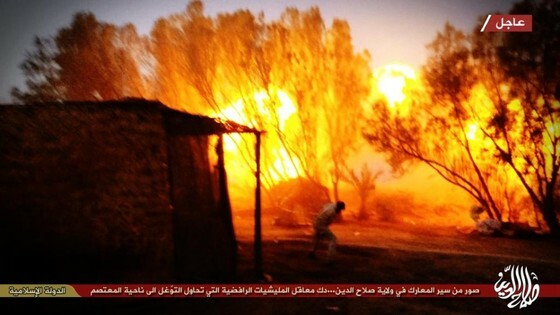 The Islamic State has released new photographs of clashes near the central Iraqi city of Samarra. 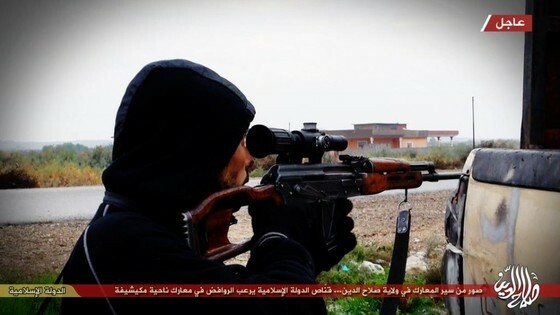 One set of images shows skirmishes in the Mutassim sub-district, which lies southeast of Samarra, and another set details fighting in the town of Mukayshfah, located between Samarra and Tikrit. 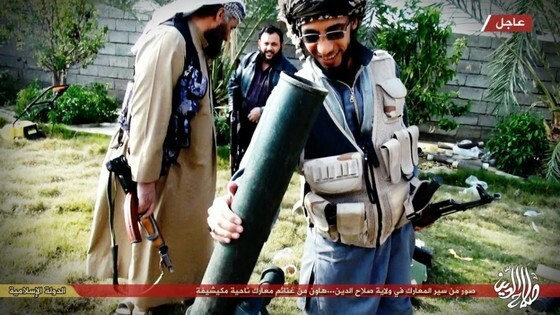 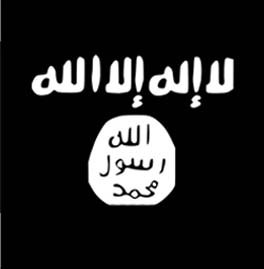 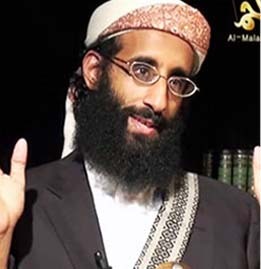 The two releases were distributed by Islamic State supporters on Twitter after being posted elsewhere online. 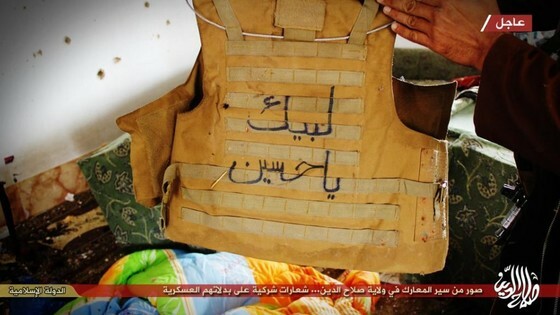 The photo sets also bear the title of Wilayat Salahadin, which is one of the Islamic State’s proclaimed 18 administrative divisions. 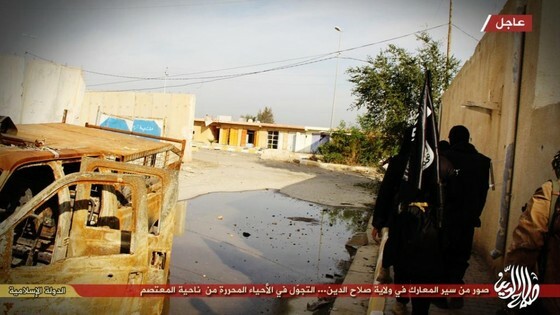 In the images of Mutassim, the district center is clearly shown as being under Islamic State control. 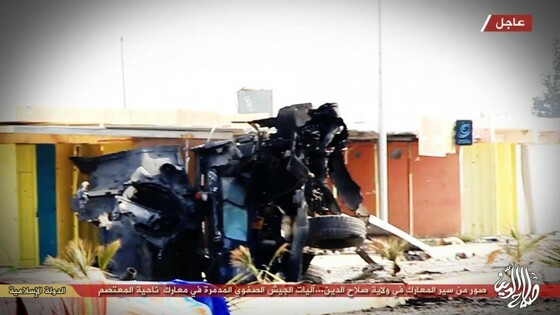 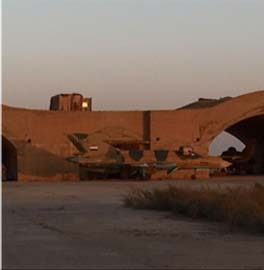 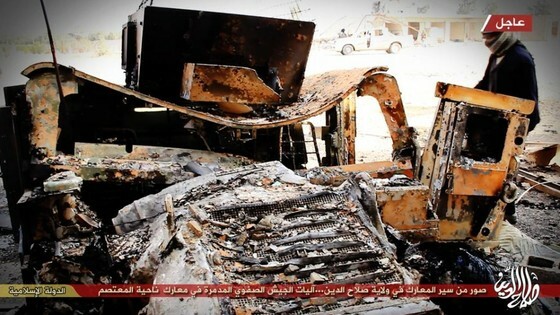 Other photos showcase several destroyed Iraqi Army or Shia militia vehicles, including several US-made Humvees. 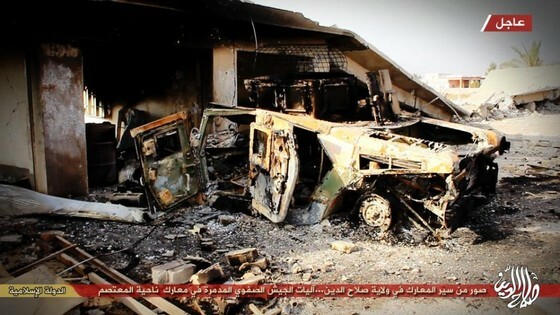 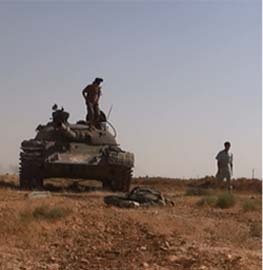 The current status of the sub-district is unclear; the Islamic State photos appear to show its fighters in control of the town, but they may have withdrawn after the attack. 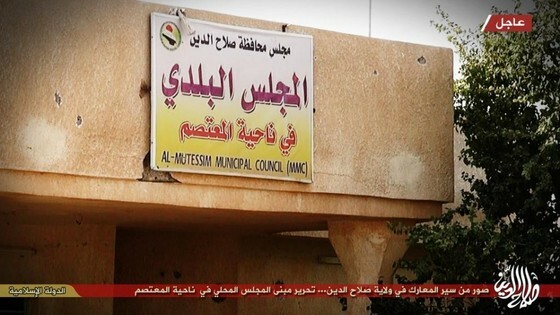 The National Iraqi News Agency is reporting that the Iraqi Army, backed by Shia militias, has retaken Mutassim. 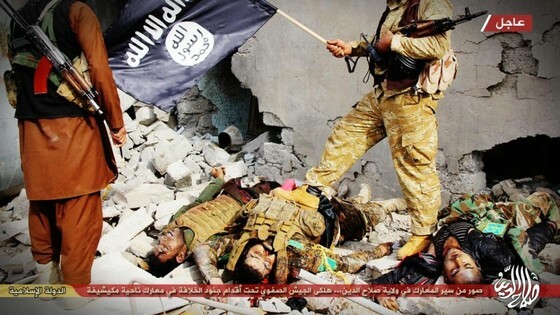 The set of photographs from the Mukayshfah dub-district shows Badr Organization positions being overrun by Islamic State fighters. 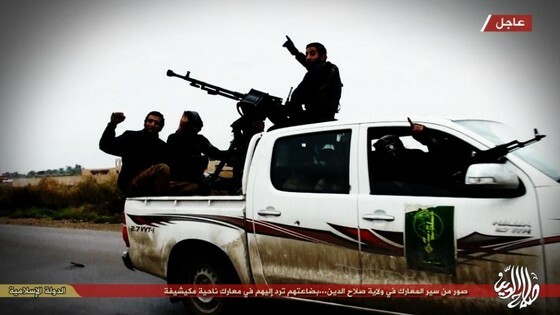 These images also show the Islamic State capturing more Badr vehicles, as well as supplies and ammunition from the Shiite group. 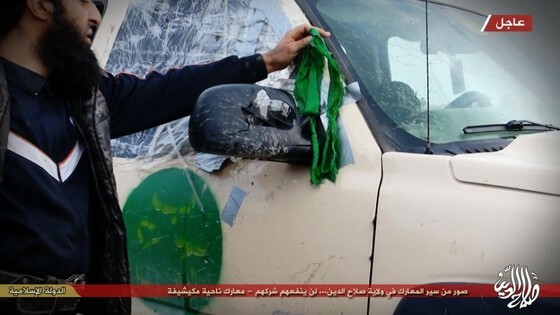 A few days prior, the Islamic State had released another group of photos also highlighting its battles with the Badr Organization in Mukayshfah. 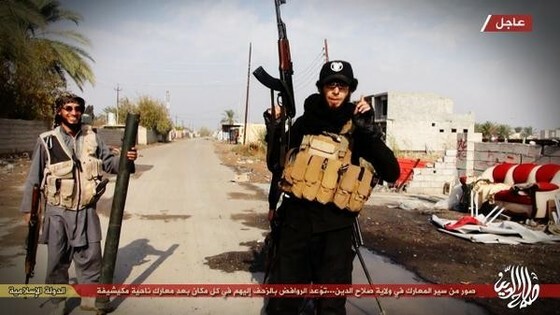 The Islamic State seeks to control Samarra and towns and cites to its south in order to secure the northern Baghdad belt. 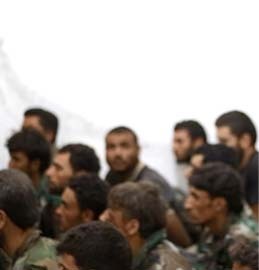 Jihadist control of this area would make it difficult for Iraqi forces to resupply and reinforce military units north of the city. 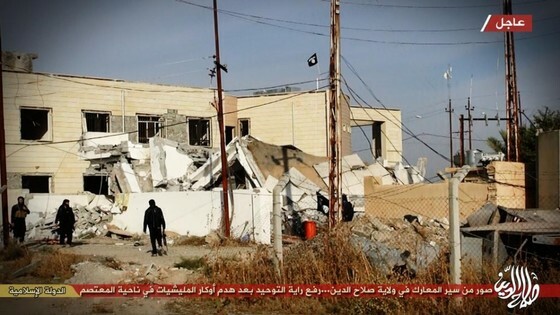 Additionally, the Islamic State would use this area to disrupt security in Baghdad. 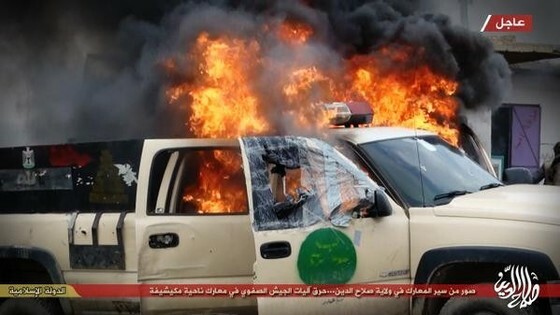 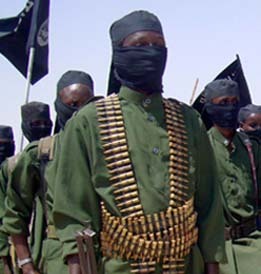 The Iraqi government has allowed Shiite militias, including the Badr Brigade, Hezbollah Brigade, Asaib al Haq (League of the Righteous), and Muqtada al Sadr’s Promised Day Brigade, all of which are supported by Iran’s Qods Force, to reinforce beleaguered and demoralized Iraqi forces in Samarra. 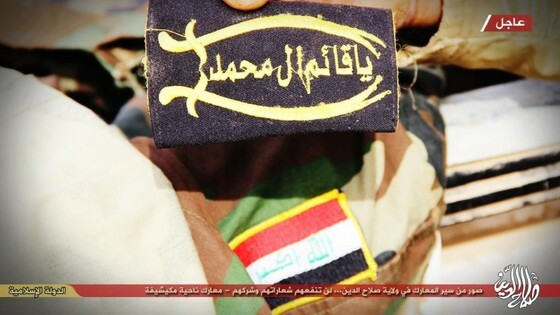 These militias have remained on the front line and have secured cities and towns, many of which are predominantly Sunni communities, along the road from Samarra to Baghdad.